Time to Ask: Who Lost Lesotho’s Democracy? | Jordan Ink. 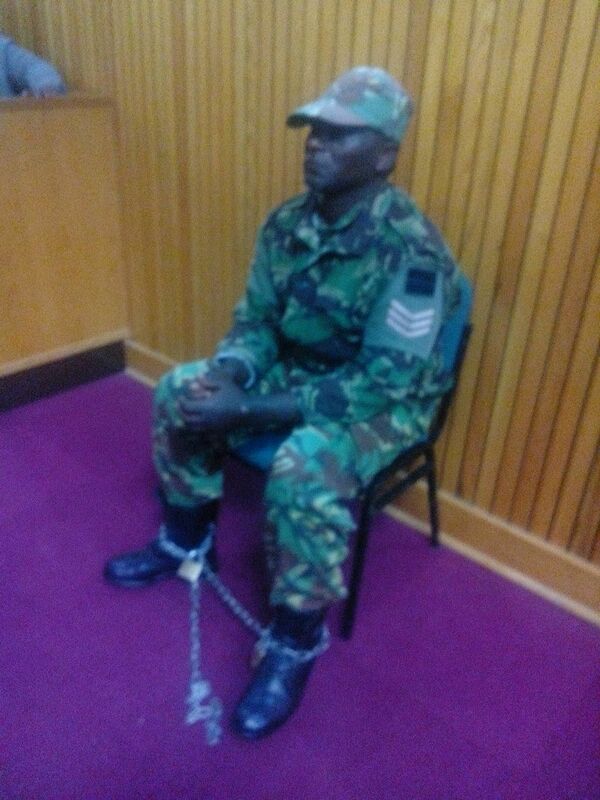 *From The Public Eye, Detained Soldier Recounts Ordeal: As in, one of an unknown number of soldiers who Kamoli and his LDF loyalists have rounded up for an alleged “mutiny” plot against the new government. Defenders of the soldiers claim they were “kidnapped and tortured,” targeted for their allegiance to the former commander-in-chief, ousted Prime Minister Tom Thabane. *From The Lesotho Times, Rantšo Flees Lesotho – As in Keketso Rantšo, Lesotho’s top female politician, who last year broke from and challenged her Party boss – Mothetjoa Metsing – to defend himself from corruption charges “like a man.” Metsing – also accused of co-conspiring with Kamoli to launch the Aug. 30 putsch – is currently the Deputy Prime Minister and seems very, very close to Kamoli. Oy, what a mess. Tales of murder and mutiny plots, kidnappings and torture. A well-connected businessman, murdered. Corruption cases, disintegrating. Courts, intimidated. Security services, in disarray. One Lesotho NGO says it’s in touch with the International Criminal Court; a second says it’s inviting the International Red Cross to investigate treatment of prisoners. Meanwhile, the Lesotho government is mostly mute – as is the regional power that mediated here to restore “peace and security,” the Southern African Development Community. While civil society calls on the outside world to defend “rule of law,” many Basotho shudder at the thought of worse things yet to come. So, it’s high time to ask the question: “Who lost Lesotho’s democracy?” Were the hopeful elections of 2012 all a mirage? Or a case of mass delusion? Me, included? Which Lesotho media, then, will mark the anniversary with a series that explores what went wrong – and why? Which international organization will host a three-day conference – or at least one panel-discussion – for all government “partners” and non-governmental stakeholders to chronicle the lessons-learned and “best practices” drawn from this experience? Then, chart a realistic path forward? Wishful thinking, of course. Yet this is how I choose to commemorate an otherwise unhappy anniversary for my Basotho friends – and southern Africa itself. Mr Jordan, I have recently come across your writings on my country. Overall, a fairly good effort, facts-wise, and you seem to have learnt quite a lot in the relatively short time you have been living here. I like your stories, in short. However, you keep getting one thing wrong: ‘Basotho’ is only used for many of us; if you are referring to only one of us, it’s ‘Mosotho’. So, it would be ‘a Mosotho lawyer’, but ‘Basotho journalists’. Please fix this, asap, lest you lose some us as readers because of something that seems so minor, and yet is so important (for us that you get right). Since its return to democracy in 1993, I would argue, Lesotho never quite attained proper democratic credentials. It was and remains what Fareed Zakaria calls “an illiberal democracy”. There has never been any semblance of liberty and rule of law. Our laws neither establish nor guarantee separation of powers, there’s minimal (if any) equality before the law, and the political principals habitually violate formal rules with impunity. An unbiased article on Lesotho politics from 2012 to now; I should add that Lesotho has matured politically more than any other country in SADC. Even Botswana and RSA are yet to change governments through democratic means after gaining full independence, but unfortunately Lesotho security forces spoil our successes by interfering in politics!